The senior Congress leader said he wondered whether former prime ministers Jawaharlal Nehru and Atal Bihari Vajpayee would have used such language in Parliament. MUMBAI: Former Finance Minster P Chidambaram today slammed Prime Minister Narendra Modi over his "raincoat" barb at Manmohan Singh and said even US President Donald Trump had praised his predecessors in his speech. "The remarks (by Modi) were in absolute poor taste. If he had made these remarks in a public meeting in Varanasi or a BJP parliamentary meet or in a closed door meeting, I would not have cared a bit. "(But) speaking from a place where people like Jawaharlal Nehru and Atal Bihari Vajpayee had once spoken...it made me wonder if they would have used such phrases. Parliament has its own sanctity. You must respect all those who have formerly occupied this office," he said. In a scathing attack in Rajya Sabha, the PM had said one should learn the art of "bathing with a raincoat on" from his predecessor Manmohan Singh as there was not a single taint on him despite so many scams having taken place during his regime. Comparing Modi with Trump, Chidambaram said though he had several disagreements with the US President, he respected the latter for starting his first presidential speech remembering his predecessors. The Congress politician was in the city to campaign for February 21 elections to Brihanmumbai Municipal Corporation (BMC). Referring to protests in his home state Tamil Nadu over holding of Jallikattu (a bull taming sport), he said they were "symbolic" as they represented different concerns, anxieties, angst of people who finally converged and demonstrated. "Many youth who had converged there (at Chennai's Marina beach) may not even have seen Jallikattu. But their coming together gives me hope that people are aware and concerned about what is happening in the country today," the former minister said. 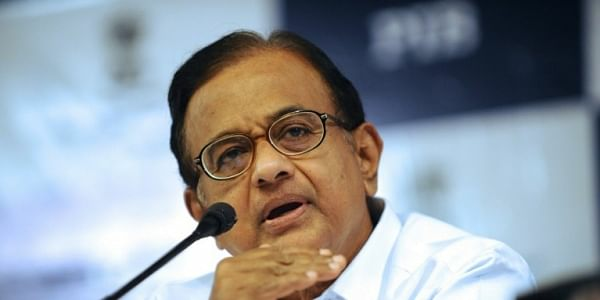 On administration of Mumbai, Chidambaram said the megalopolis was one of the worst governed cities in eastern part of world. "This place (Mumbai), which was once a magnet for foreign investors and a part of the plan to make it into a financial centre in late 1990s, lost out to other cities in the region. "There is no dearth of human resources, talent, technology and money. It's all there. But there is still a big hole that needs to be filled," he said. BMC, currently ruled by the Shiv Sena-BJP combine, is going to polls on February 21.